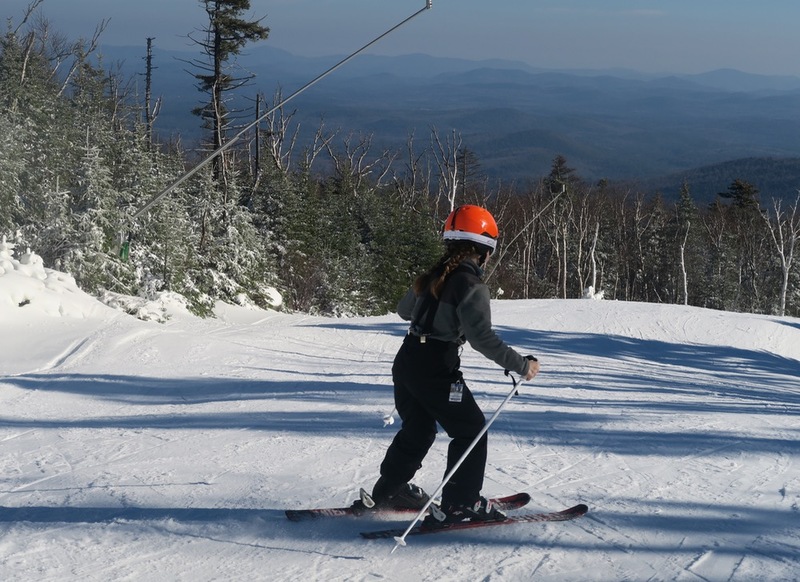 Thanksgiving is often our first chance to ski, and this year was no different. After a midday feast with extended family, we drove to the mountains. We arrived around 9pm. I was up early, and headed to the hill by myself, letting the girls sleep in. I pulled into the upper lot right next to my friend Duck and he had the prodigal ski with him. Five days after Stella, I ripped out a binding in the Tahawas trees and my ski ran far in deep snow. After a half-hearted look, I started the long hike out. This past September, Duck hiked the mountain and brought the orphan out. I put it in my car, a good start to the day. Conditions were decent and coverage was solid. It was warm, above freezing I think, so things were soft enough to give thanks. On my first run of the season down Showcase, I couldn’t contain myself. Crazy really, I unloaded, going top-to-bottom without a stop at a decent clip. Duck was surprised: “Harv, I don’t think I’ve seen you do that before.” I did that less than 5 times all last season. Sometime soon I’ll tell about my experience with Whiteroom Skis. For now, I’ll say that skis that were designed primarily for new and cutup snow, are surprisingly agile on firm groomers too. There were four trail variants down. Showcase looked to be the deepest and the best farmed. Lower Sleighride was an option with the terrain park beginning to take shape. The other route down included Foxlair or Ruby Run, part of Sunway, Wild Air and the Arena. 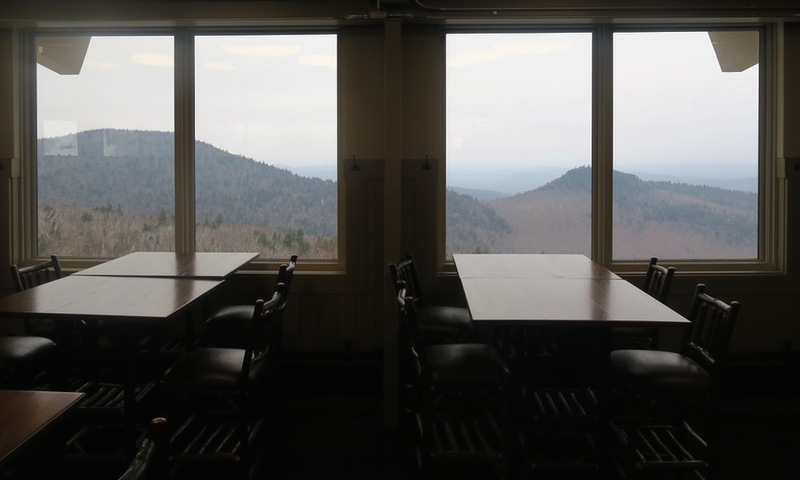 After three or four runs, we went into the Saddle Lodge to look at a major upgrade. They must have doubled the size of the building. There are a lot of windows. You have a nice view of Pete Gay out the back, and out the front you can see now see the top of the quad and most of the saddle. When I go to the mountain solo, I’ll call it a day a bit early, unless there is powder. I’m usually promising to bring sandwiches from Cafe Sarah or hit the store. I headed into town before going back up garnet hill. When I got back to HQ, Neve asked me about conditions and open terrain. After hearing my report she wanted to head back on over. It is specifically against the rules in the Ski-Dad Handbook to do anything that could be deemed stoke negative, so I powered down my sandwich and got back in the car. The sun came out and surfaces softened. Nice bumps formed near the bottom of Wild Air. Neve was excited about the potential of the new lodge, but at the same time disappointed she couldn’t get cocoa. Someone told us that kitchen is supposed to open by next weekend. We skied the afternoon away. I’d gone all out in the morning and made two round trips to the mountain, it was my first day on skis and I was fading fast. Neve didn’t seem to mind a little waiting which was very cool. We had a great time following each other. When she and I go turn-for-turn, that’s a great speed for me. When I could turn no more, we called it day. We went down to the base and hung out on the deck, almost like it was spring, but chilly. It was great to be back. Like many of the big guys, Gore used the cold temps when they had it to put down enough to get us through the holiday weekend with good skiing. They spun two high speed lifts to serve the open terrain, which probably wasn’t absolutely necessary, but it felt right to me. I found some things to be thankful for in Johnsburg this holiday. The amount of work done on the lodges is astonishing. The Northwoods Base Lodge is still being expanded. The Saddle Lodge is much bigger with dozens of tables and chairs added. Even with the photos that are out, the Straightbrook Lodge remains a mystery to me. After seeing the Saddle Lodge in person, I want to see it soon too. I got my ski back. While it seems quite likely that my Whiteroom’s are going to be my daily driver, I didn’t like the idea that the original NYSB was lost in the woods. 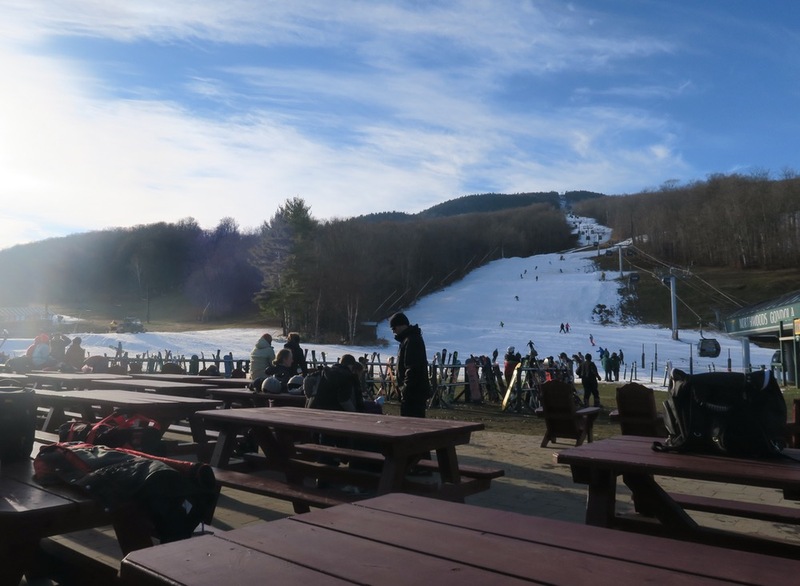 Those Worth Daily Breads are up at Garnet Hill Lodge Ski Center now getting new bindings and they will go back in the quiver when we return. And, I had a chance to see friends, on the hill and around town. 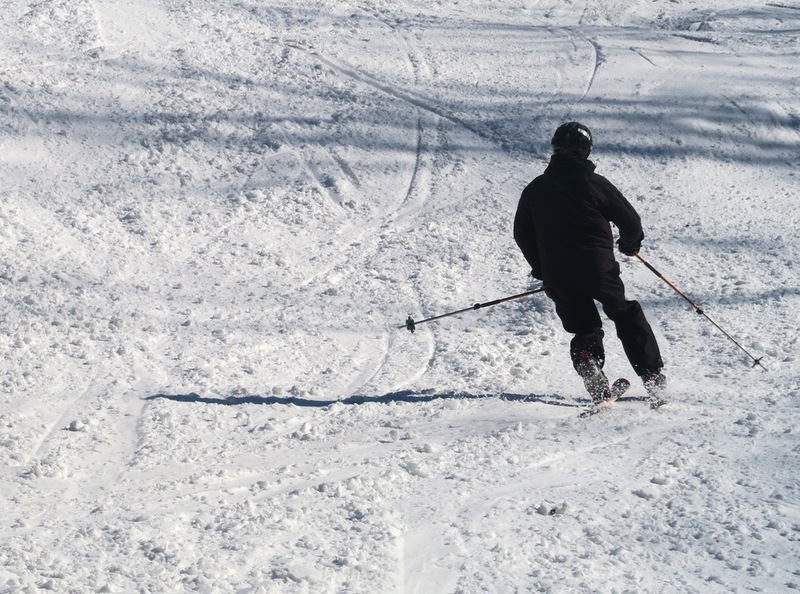 New York skiing is back on our homepage, and I’m back on snow. Great to see to you on the sticks. 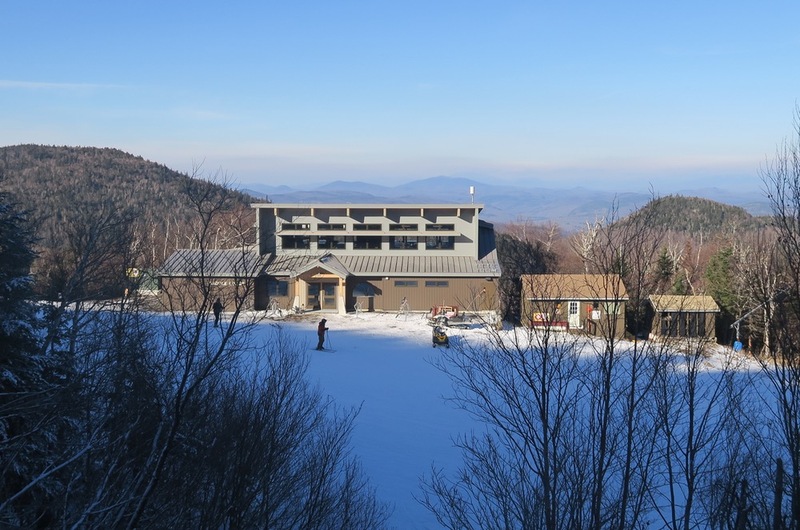 Great story and and can’t wait to ski there and see the new lodge. Cocoa is for sure important! She has her priorities right. Awesome report, Harv.. Its good to see you guys getting after it and nice that your ski made its way back to you. I knew it would. Great way to kick it off, go neve! Good to see you Harv. We will have to make some turns together soon. Rock on, Harv! Skiing is the bomb! I got 2 days in over Turkey Weekend and I’m jonesin’ for more! I’m looking forward to getting up to Gore this winter so you can show me some of your favorite woods and even more so, the HQ trails! I travelled friday after stuffing my gut. 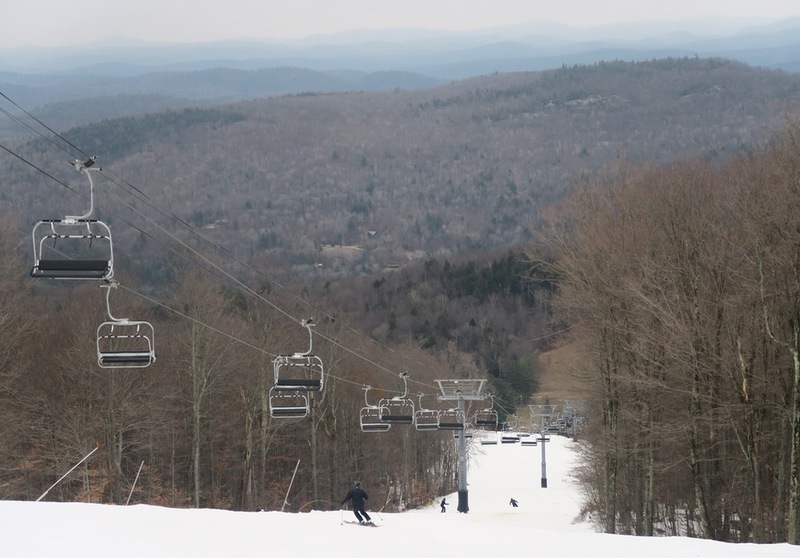 Skied Saturday on all 2 open runs on Gore and enjoyed Showcase the most. It felt great to shake out the cobwebs. Nice read – alot to be thankful for! Cheers to kicking off another season and looking forward to getting back up to ski Gore, Botheration Pond and Raymond Brook and hopefully meeting up for a few turns and brews! Yes Mike true! And Raymond Brook was cleared this weekend. Bring it.